Which projects and / or tasks took longer than expected and why? Invoicing and time accounting to customers. Did we make the offer too low/high? Registration of days off, sickness and holidays. In addition, we have noticed that working remotely is easier: you can track what is being worked on and easily monitor whether things are going well - without disturbing people every time. You can also install automatic red flags: if a project or task is about budgeting, then Lus can send a signal to the executive person and/or project manager. The latter can then take action, as a result of which potential problems are nipped in the bud. 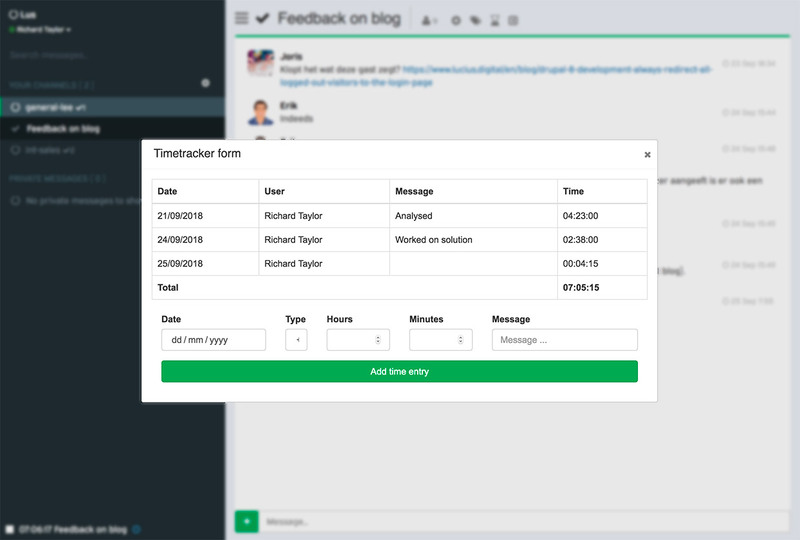 Good time-tracking in your project management system is therefore essential and now built into the Lus communication and project management platform. 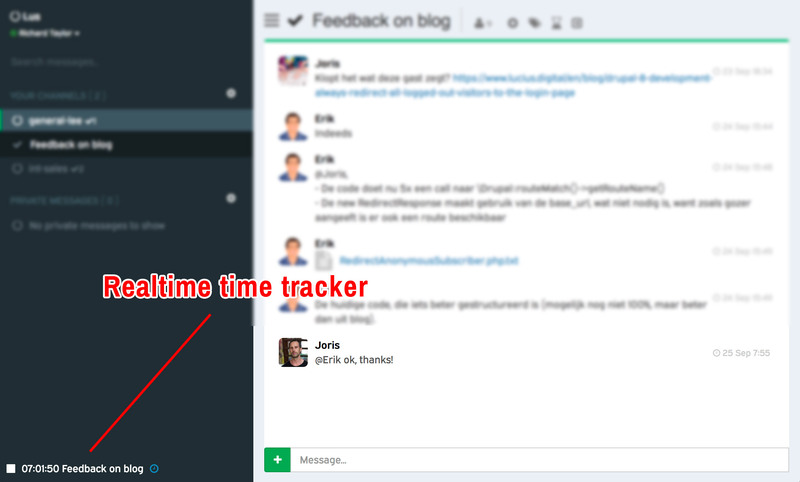 This time tracker has also been made as user-friendly as possible based on several feedback rounds. When a time tracker is not optimized for user-friendliness, you will get constant resistance from the people who are going to use it and it will work to your disadvantage rather than in your favor.. In Lus, users can be added in the role of 'Client'. For people in this role, the time tracker will not be available - so that they can not influence time registration. When you click on a task, you can immediately click on 'play' at the bottom left, so that the time registration starts. This active timer remains active on all pages and can be instantly switched to another task, or stopped. If you have Lus open on multiple screens, the time tracker will be instantly updated anywhere without page refresh. For example: if you clock in on another task, you will see that task immediately active in all screens on the bottom left. Realtime time tracking is not necessary, you can also use the manual registration. Corrections to clocked times can also easily be made here. 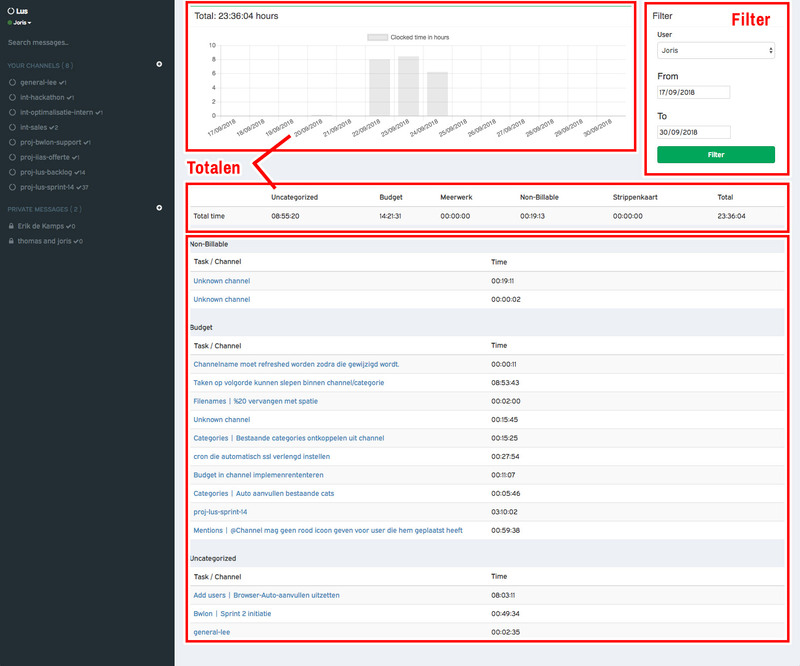 You will also immediately see a breakdown of all time entries on the relevant task. 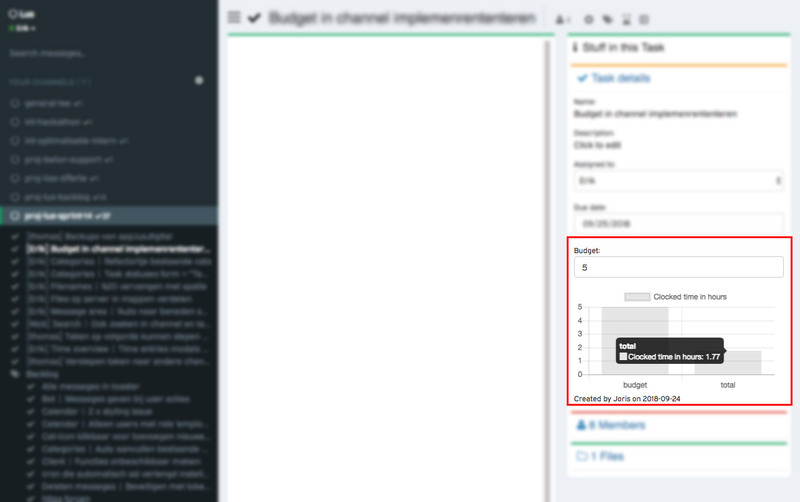 With a simple graph: budget versus total clocked time, you can immediately see how it stacks up in a project or an individual task. A task always falls within a certain project, that project can be given a characteristic. Lus is set up in such a way that each customer can set his categories himself, after which the project can be chosen by the channel (project) characteristic. the type of work that goes the most and least time. These reports can be extended, possibly based on what organizations specifically need; we will make generic extensions based on feedback. Easy and good time registration is essential for many organizations. Use these functions in Lus and cut free!